Guess what happened in August of 1949? Well, you probably don’t need to, given the title of this post. 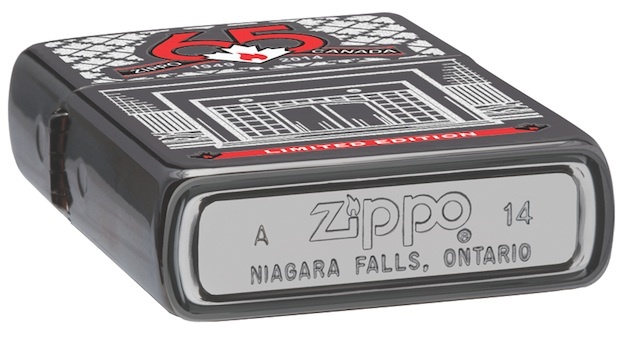 Zippo opened it’s first factory in Canada—Niagara Falls, to be exact. It was the only place other than Bradford, Pennsylvania where the lighters were made (legally, anyway), though it unfortunately closed in 2002. 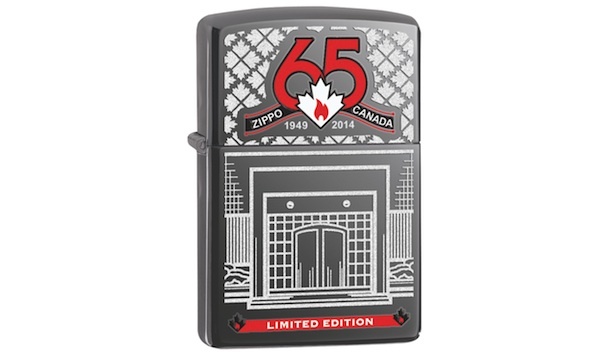 However, Zippo wants to commemorate the plant, so they’re releasing this 65th Anniversary Lighter ($50), made with the original Canadian production die, which they dug out of the archives. Only 5,000 have been made.